Visit to Paro valley in Bhutan – one of the most attractive tourist destination not only in Bhutan but also in the world. 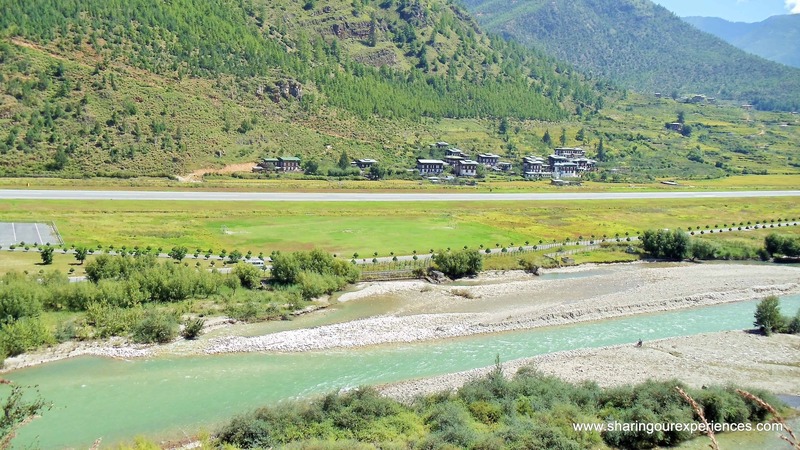 Why should you visit Paro valley in Bhutan? Think of a fresh blue water stream in a lush green valley. Now add some elegant traditional Bhutanese houses and monasteries to it. You will get Paro valley in Bhutan. 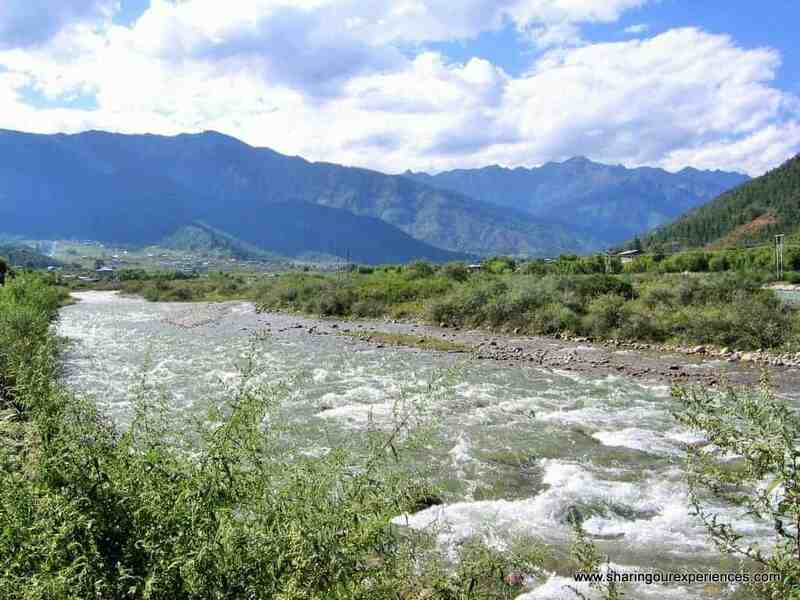 It is one of the most attractive tourist destination in Bhutan. This place is a must visit for all those who love nature. Apart from it’s natural beauty Paro is also famous for it’s monasteries and dzongs (read fortresses). Home to the famous Tiger’s nest monastery and the only place in Bhutan to have an international airport. Also please note that this airport is one of the most treacherous international airport in the world. If you still need more reasons then let me tell you this visit is going to be very easy on your pocket. You can reach Paro either by road or by air. From India through the Jaigaon- Phuentsholing border the distance is 175 km and takes around 6 hours. 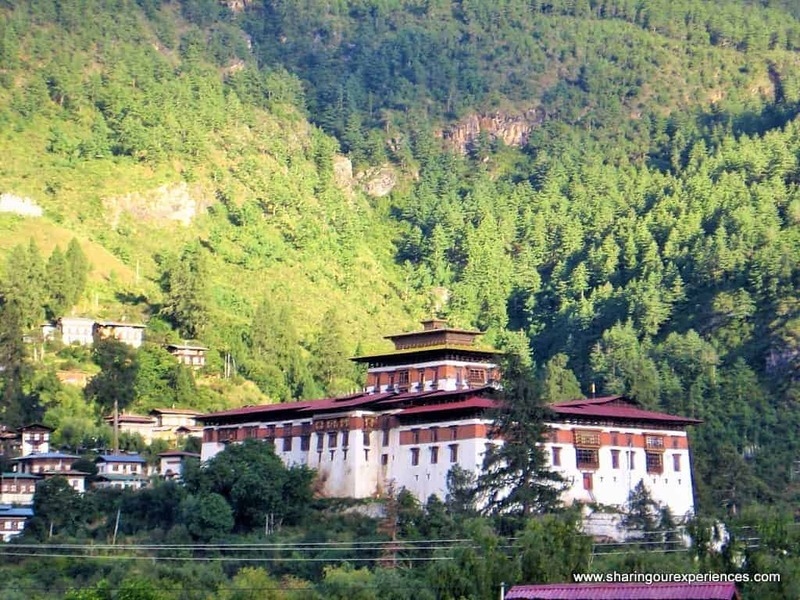 You can also plan your journey so that you visit Thimphu (Bhutan’s capital) first and then come to Paro, it will take you around two to three hours. This is what we had done and the drive offered amazing views. 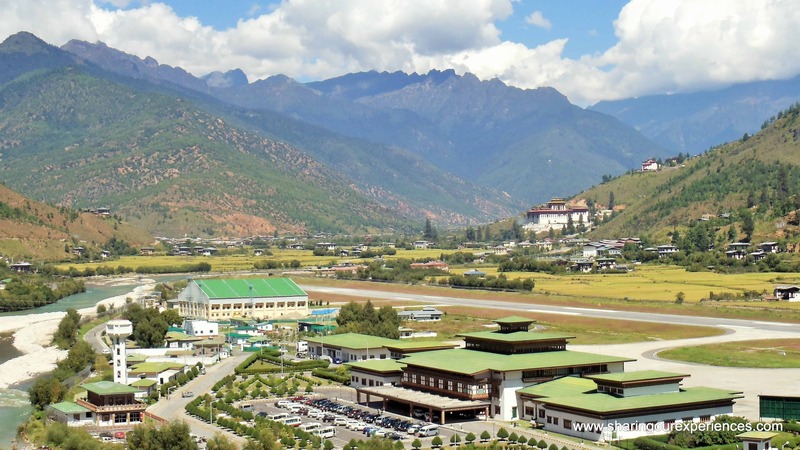 Paro is the only place in Bhutan to have an international airport. 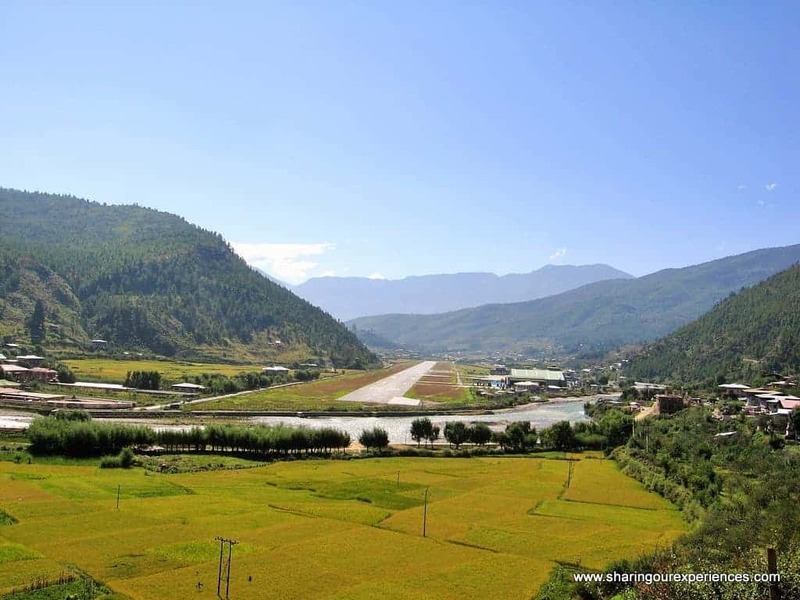 The airport itself is located in a deep valley on the banks of river Paro. This airport is considered as one of the most dangerous airports to land in the world and it is said that a special certification is needed by pilots before they are allowed to land a plane here. Well, from my perspective the airport and its setting is picturesque. Visit Paro market place and enjoy shopping at Tibetan market. Enjoy traditional Bhutanese cuisine at local food shops. You will easily find vegetarian as well as non-vegetarian food in the hotels. 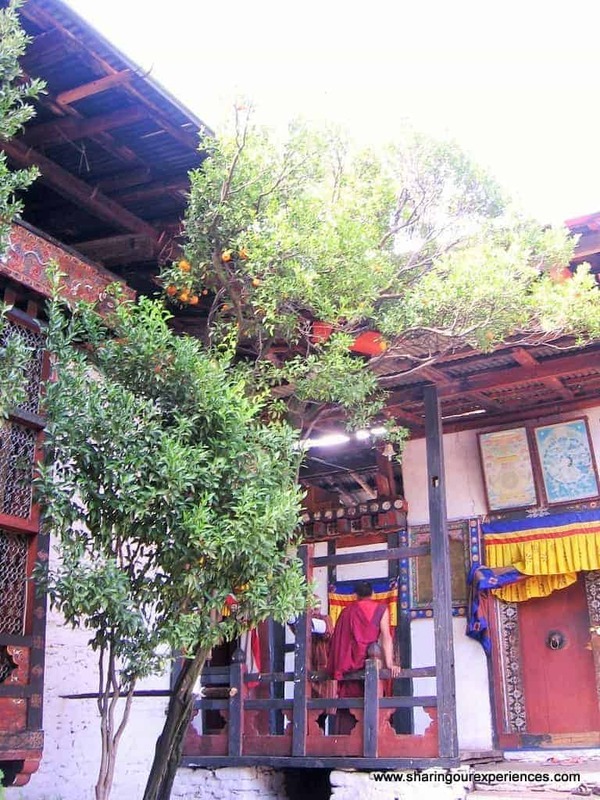 Paro has many more monasteries (over 155 ), so you can visit them if you still have time  ..